Last week, my family and I found ourselves in the most magical place on earth. Yup, you guessed it, Disney World. More specifically, The Magic Kingdom, home to every Disney Princess ever created. It was enchanting. 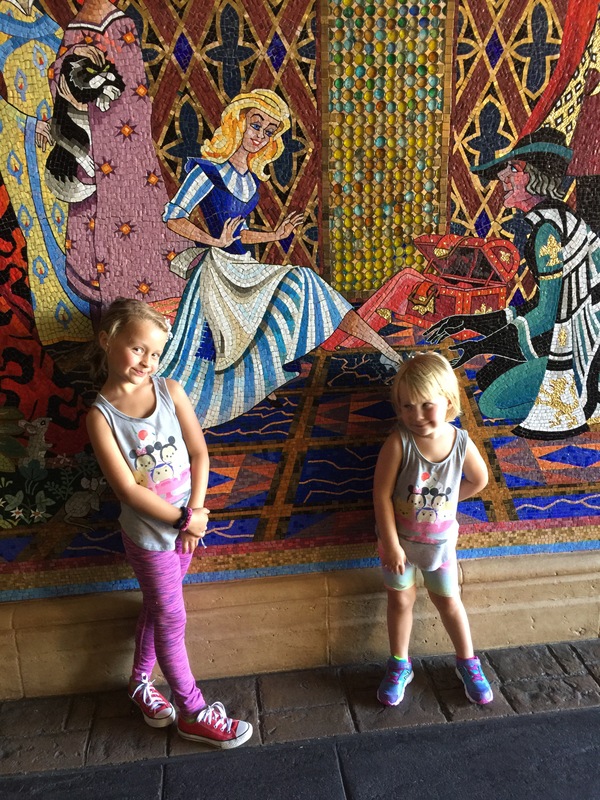 Our girls walked around all day captivated by the stories and the characters of all their favorite Disney movies. They even met Rapunzel and Tiana in person, thank you Fastpass. Our little girls were “girlier” than usual, Lucy even asked for a parasol so that she could shade herself from the sun just like princesses do. This is the same girl who refuses to wear dresses on most occasions. What is my point? Disney’s most beloved stories all have the same script: the damsel in distress must be rescued by her prince. Feminist hate this, even some Christians scoff at the idea that women need to be rescued by a man. But answer me this…why do little girls love these stories so? Why do little boys walk around the park swinging their light sabers or swords, fighting imaginary villains? Because God fashioned us this way, that’s why. “Every woman in her heart of hearts longs for three things: to be romanced, to play an irreplaceable role in a great adventure, and to unveil beauty. That’s what makes a woman come alive.” Captivating by John and Stasi Eldridge. “There are three core desires in the heart of a man as well. Every man wants a battle to fight. Men also long for adventure. Finally, every man longs for a Beauty to rescue.” Wild at Heart by John Eldridge. I want my girls to be strong, to be courageous, to be at the center of a grand adventure. But I also want them to be tender, to be cared for, to be cherished. I want them to feel beautiful, no matter the circumstance. Teaching them to look to Jesus for their strength, and their beauty is our goal on a daily basis, because He is The Great Rescuer. Better than any fairytale Disney Prince, more devoted than any future boyfriend or husband. This is no small task, but it’s the “Happily Ever After” I’m going for.